It was my dad that started me down this photography career path. On this Father's Day I have to say thanks for what has become a fun ride through life. My first exposure to the picture taking process was when Dad took some racing photos at Thunder Valley Dragway in Marion, South Dakota during my junior high years. Next thing you know Dad had bought me a camera and I was shooting for the Custer High School newspaper and yearbook. From there, things just kept clicking along so to speak. Despite Dad's best efforts to teach me some mechanical skills to go with the artistic ones, they just didn't quite sink in. 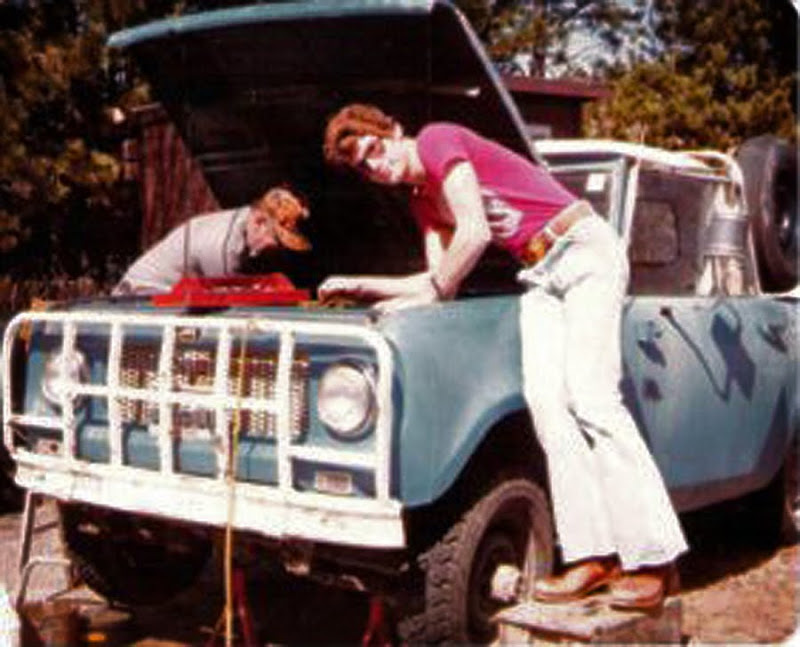 Here we are working on an International Scout back in the 1970s.